If you’re a parent working outside the home, you know high-quality child care is a necessity. You may also know that in Colorado, there aren’t enough child care slots for every young child. Across our state, many children of working parents spend their days in the homes of family, friends, or neighbors. In homes like Maria’s. Maria was caring for her aunt’s three children along with her own. 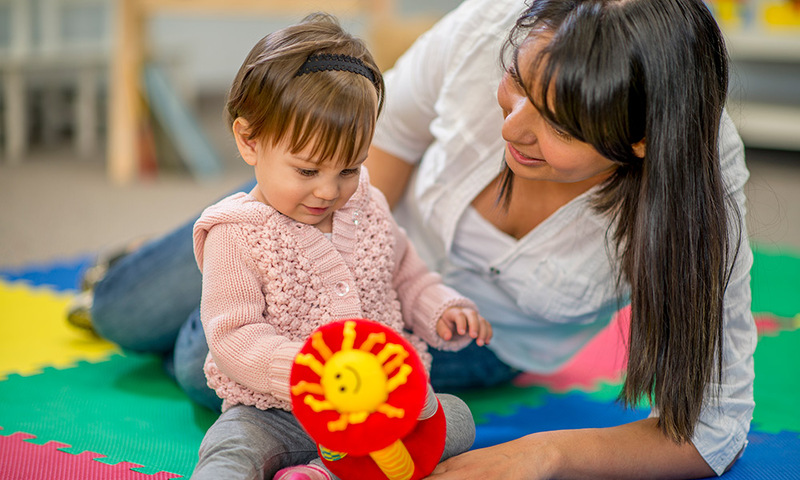 She wanted the children in her home to be as prepared for kindergarten as their peers in formal child care centers, so when she found out about a program called PASO that teaches caregivers to offer more learning activities, she signed up. Maria began studying first aid, nutrition, and child development, which sparked her creativity: she turned her ordinary closet into a learning center that transforms each day, from a math center to a reading nook and back again. As she grew increasingly confident that the five young minds in her home would be ready for kindergarten, Maria shared her excitement with 10 friends who also joined the program, then used what she learned to take her own professional skills further. She now works as the director of a child care center in a local church. Mile High United Way is helping PASO reach more home-care providers like Maria. Today, the program is serving more providers and kids than ever before. Maria fights to prepare children for kindergarten. What are you fighting for?